First, there's this hilarious segment on the WGN-TV (Chicago) morning news/chat show, where the hosts' baffled commentary ("who woulda ever thought to put these together!") is, at least, mostly positive. 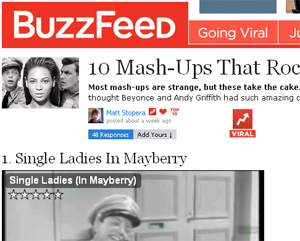 Some sort of entertainment news/blog/thing connected somehow with MSN Movies gave it a front page shout-out, although that merely seemed to be pointing to something on Buzzfeed celebrating "10 strange mashups that rock," although their piece included the head-scratching sentence, "most mashups are strange, but these take the cake." Mmmm, cake. Prefix Magazine got in on the fun here, calling it "more notable than entertaining," which, again, I'll take as a compliment. Then, there was some attention from a few apparently-somewhat-popular blog-type things, including Warming Glow, who called it "pretty decent," and Urlesque, who said it, um, helps us "celebrate the magic of a powerful remix." Huh. They both made some pretty good Photoshop combos of Beyonce and the Andy Griffith Show characters, although they apparently missed the fact that I made an actual cover for the thing myself, and they needn't have bothered. All pretty silly for a 14-month old, um, baby. The whole thing pushed my sloppy lo-res video on YouTube up about 200K views in just a few days, which, again, aren't Earworm numbers but we do what we can over here. Other seemingly unconnected Party Ben popularity surges happened over on noted music blog aggregator The Hype Machine, which bafflingly listed my weird Justice/Kanye/Beethoven semi-joke mashup in their Top 10 "most-loved" tracks of the year, coming in at #7, just behind a Fred Falke mix of Little Boots and ahead of a Sigur Ros mashup I've never heard. The next week, my Kid Cudi vs. Evelyn "Champagne" King combo got noticed by DailyBeatz, who called it "way better than any other [remix] you've heard." This popped it up to #3 on the Hype Machine daily "popular" charts for a little while. Sure, we're just talking blog scraps here, but that's actually kind of nice for me, since I'm pegged as a sort of alt-rock dork, wonder why. So, to continue to combat the notion that all Party Ben does is layer alt-rock ballads over each other, let's post a couple excerpts from the recent Pure FM mix, tracklist and downloads available over on the Long Mixes page. 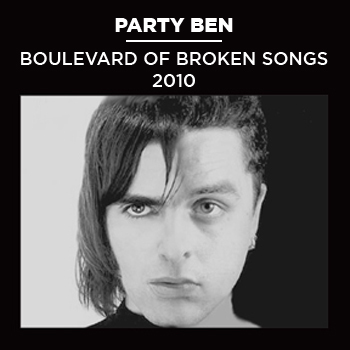 "Boulevard of Broken Songs (2010 Remix)"
As part of my continued efforts to squeeze the life out of the aforementioned alt-rock ballad combo that made me "famous," here's a dancey version that uses the storming Black Noise remix of Tonka's "Jack Track" as its backing beat. 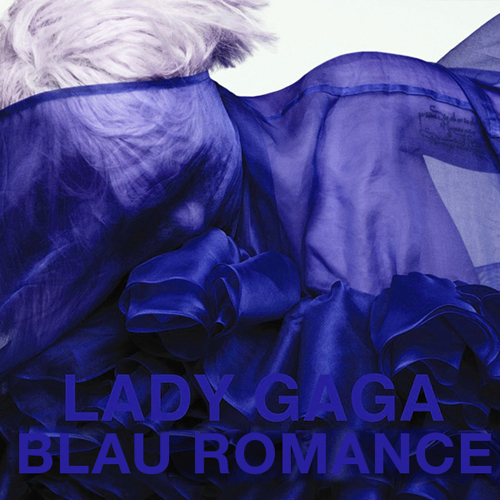 Just throwing my hat into the ring on the Bad Romance remix tip (of which there are likely already thousands) except I didn't make the music, it's the Laidback Luke/Lee Mortimer track "Blau" as remixed by LA Riots. Okay then. I'm sure I don't need to remind you that the best way to keep up with stuff I do, might do, or wish I could do, is to follow me on Twitter and/or be my Facebook fan. It's so much easier to just write 140 characters about something than deal with all this wonky website baloney. "The Dumbest Name in Showbiz"